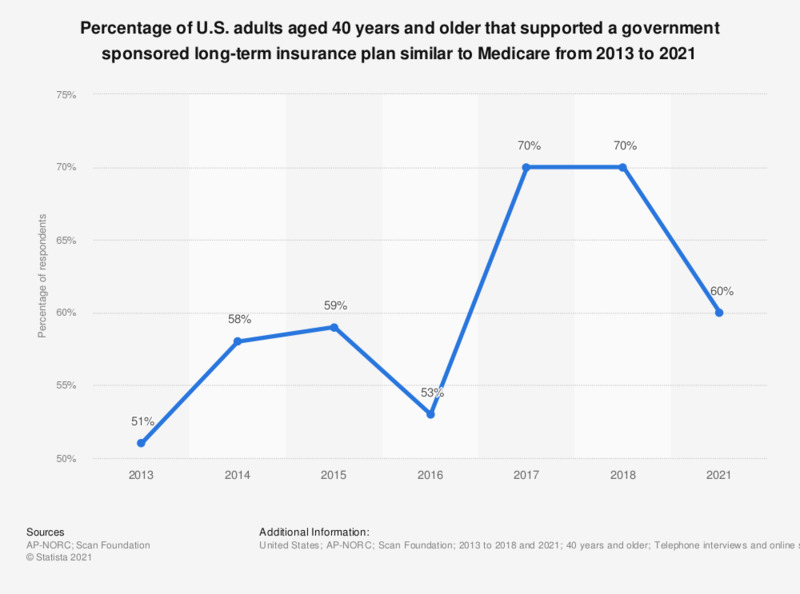 This statistic shows the percentage of U.S. adults aged 40 years and older that would support a government-sponsored long-term care insurance program similar to Medicare from 2013 to 2018. According to the data, the percentage has increased from 51 percent in 2013 to 70 percent in 2018. Original question: To help Americans prepare for the costs of ongoing living assistance, would you favor, oppose or neither favor nor oppose each of the following? A government-administered long-term care insurance program, similar to Medicare. How many hours per day do you spend on taking care of your spouse/cohabitant?